Did you know Ohio taxpayers now have the power to save a life by simply checking a box on their 2015 tax return? Ohio taxpayers can voluntarily contribute a portion or all of their state income tax refund directly to Ohio’s Breast and Cervical Cancer Program (BCCP). Ohio’s BCCP, funded at the current levels, is only able to serve about five percent of the eligible women in Ohio. The BCCP Tax Check-Off will enable the program to serve up to 1,700 additional women (an 11 percent increase) with lifesaving and cost-saving access to early detection, diagnostics, and treatment. Why should I do this? Ohio is 34th in nation for the number of new breast cancer cases diagnosed, but is 4th in overall deaths from the disease. This means women in Ohio die from breast cancer at a higher rate than women in the rest of the country. Early detection is the key to survival and saves Ohio money. At late stages of breast cancer, treatment can cost three times more than early stage treatment. How does the BCCP help? The BCCP provides access to breast and cervical cancer screenings and diagnostic services for low-income women in Ohio. BCCP is a critical and lifesaving safety net for the working poor in our state. 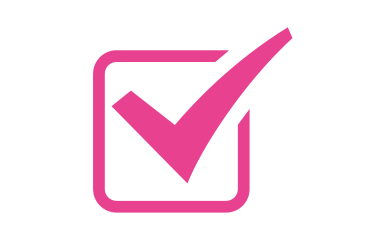 If a woman is diagnosed with breast cancer through the BCCP, she is automatically eligible for BCCP Medicaid and all of her treatments are covered. What is the impact? Despite the measures provided in the Affordable Care Act, more than 270,000 Ohio women are still in need of BCCP services. With the support of Ohio taxpayers, thousands more Ohio women could gain access to care. What else can I do to help? Promote the tax check-off option to your friends and family. Please download our promotional flyer and share within your networks. You can also check the box on your state income tax return to donate a portion of your refund directly to BCCP.